A nice soft carpet with a face weight of 50oz. 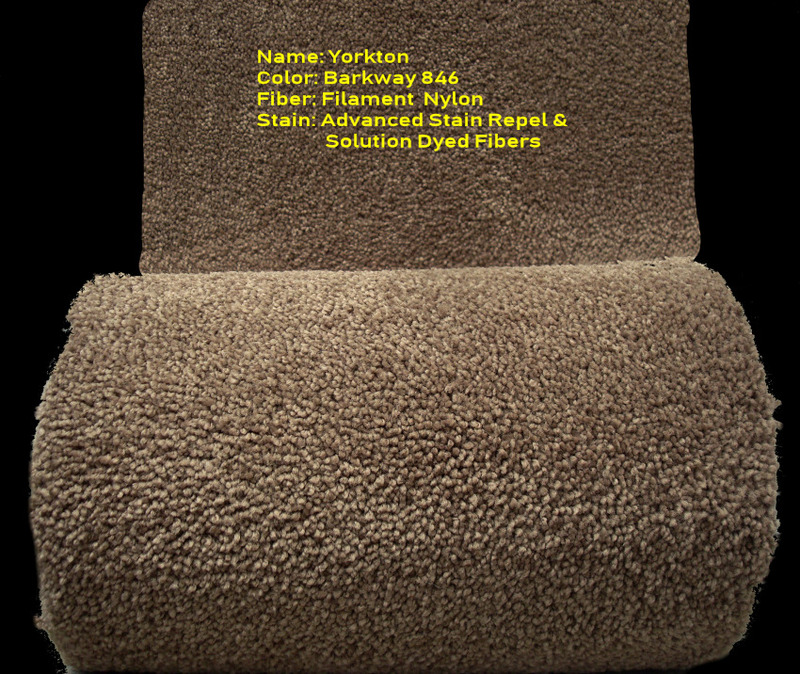 Carpet is made of High Stain resistant Solution Dyed fibers. Great carpet for active & busy households for an affordable price. Got a tough stain you can clean it with a mixture of water & bleach!!! Also know as Pet & Kid Proof Carpet. We have purchased a truckload for a huge discount that we can pass to you. This carpet is on sale while supplies last. Min order $650 on installed jobs. Price includes sales tax, removal of old carpet, new pad, vacuuming and power stretch. Includes 1/2 6lb Rebond pad.